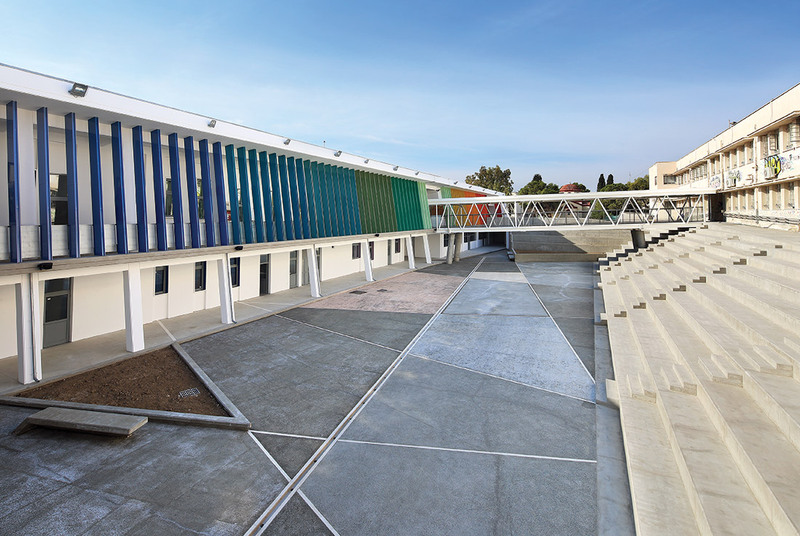 The project constitutes the first phase of the masterplan of the Laniteia Schools, which includes the school’s laboratories and a multipurpose hall along with redesigned courtyards and open areas. 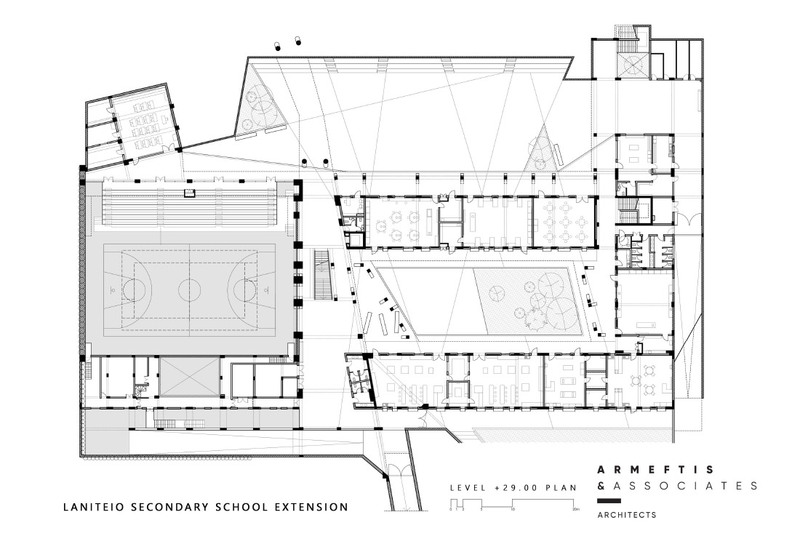 The proposal comprises the demolition of old structures, except for the main wing, which includes the general classrooms and the principal and professors’ offices. The remaining functions are housed in a separate unified building placed in the south of the main wing. 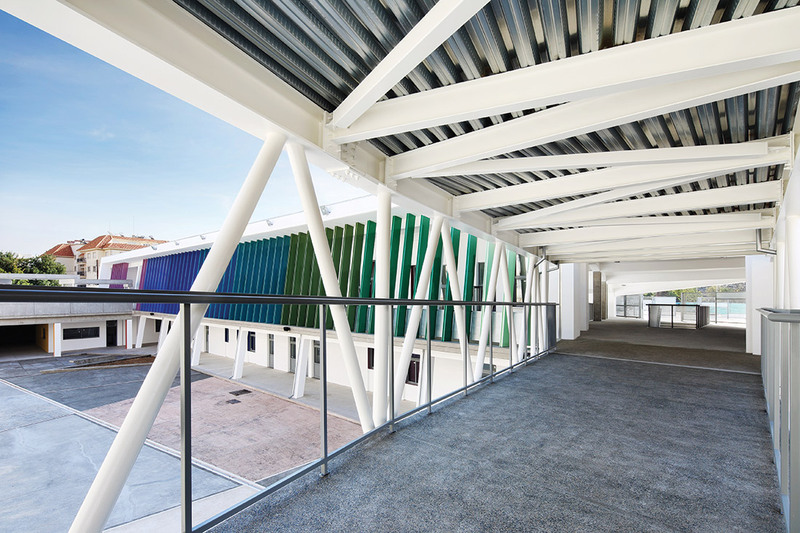 A new, enclosed courtyard is therefore formed between the old and new structures, whereas the new building includes a second courtyard, around which all the labs are located. The two entities, old and new, are connected via a steel bridge construction and through exterior corridors in the east and west sides, forming an integrated ensemble. The design aims to create a functional whole, immersed subtly to the existing environment. The main design strategy that was followed is the sinking of the large volumes in the ground, so that the new building is not overwhelming and does not overshadow the existing one. The sloped green roof of the new building not only gives additional height where is needed in the labs, but it visually acts as a continuation of the existing landscape. 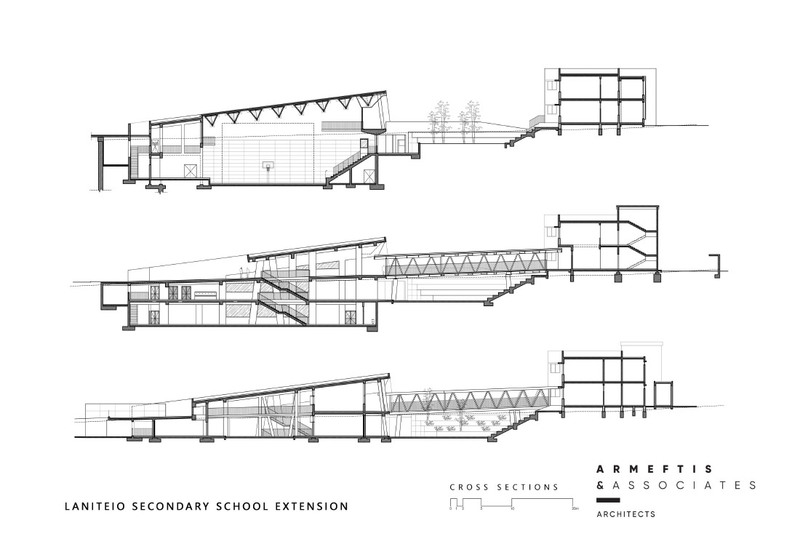 This way, although the new extension includes many areas, its volume is constrained, and its height does not exceed that of the existing wing. 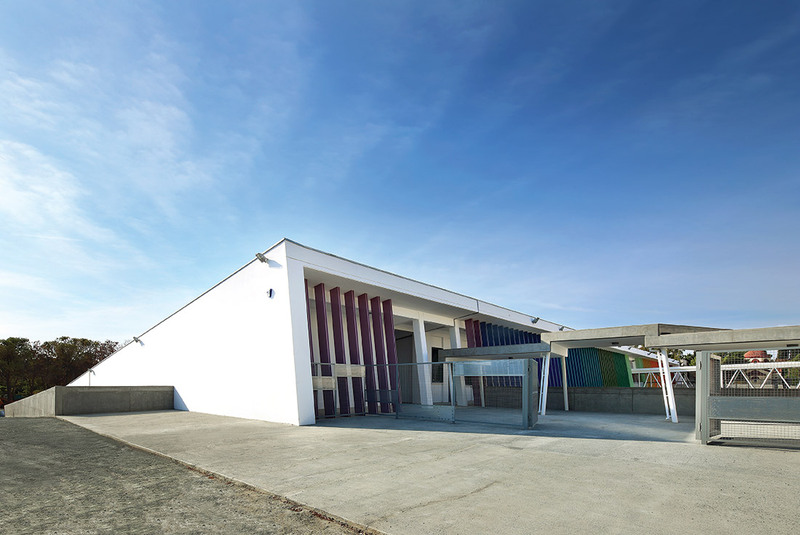 Therefore, the existing two-story building remains the highest structure in the complex. 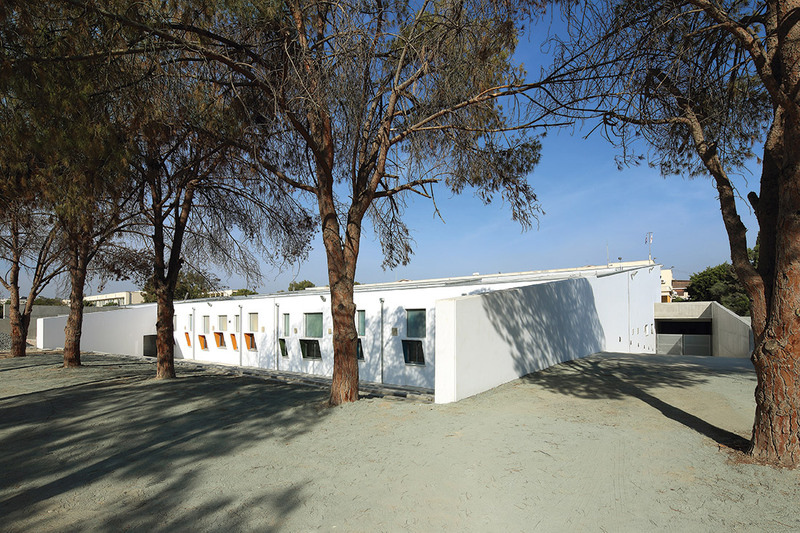 Because of the sinking, the main courtyard between the old and new buildings is in a lower level, creating a secluded, secure environment for the students. 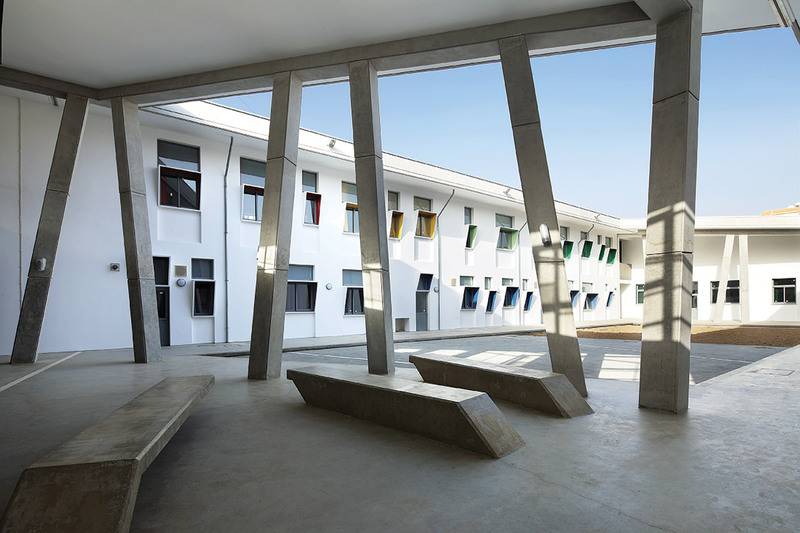 The courtyard is thus the fundamental element establishing the dialogue between the old and the new. Moreover, exterior seating shaped in the north side of the courtyard because of the sinking, acts also as a visual podium for the old building. 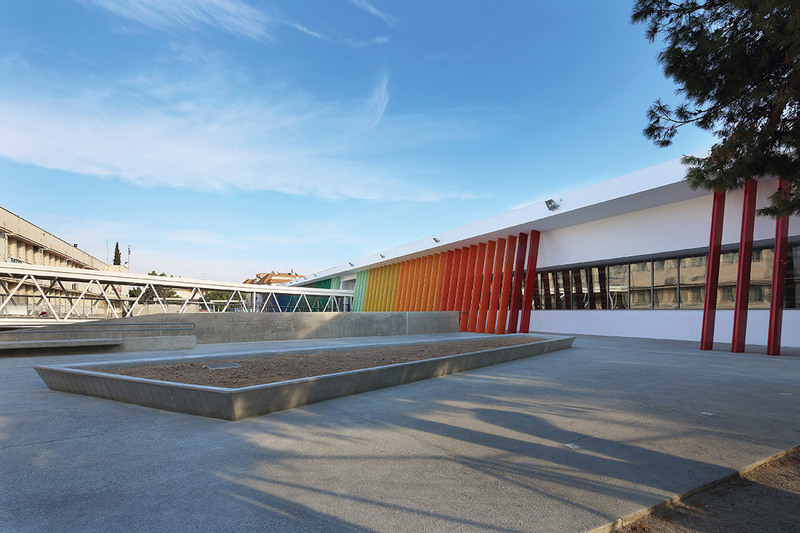 The project accommodates a large functional programme within a building shell that blends in the landscape without overwhelming the existing buildings, simultaneously creating a variety of exterior spatial qualities for the students.